The success of Jordan Peele's Get Out went far beyond its $200M+ box office. The film was a cultural phenomenon that changed the discussion on race, in particular how its depicted on the big screen by black filmmakers. And ever since Peele has been on fire, developing the racially-charged BlacKkKlansman for Spike Lee to direct, with an eye towards bigger projects down the line. Well now we know what is coming up next, and it's a doozy. Peele tweeted the poster for a new thriller titled Us, that will star Lupita Nyong'o, Elisabeth Moss, and Winston Duke assuming their deals come together. Black Panther reunion!! 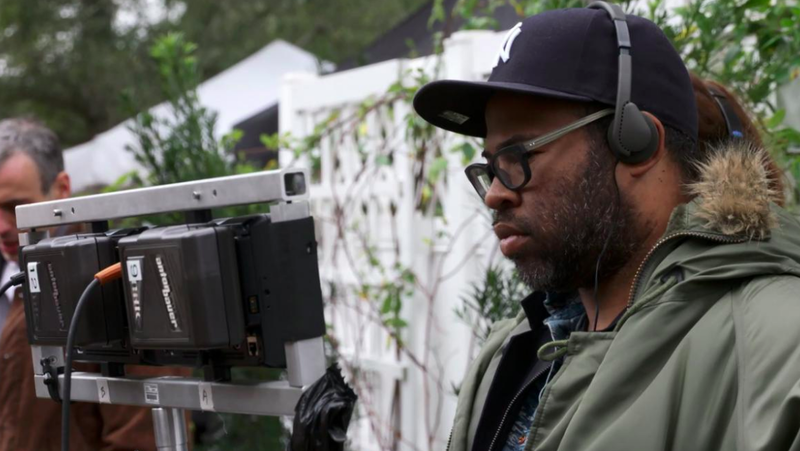 The script comes from Peele and he will direct, as well, but details are being kept under wraps. The only thing known is that it's to follow two couples, one black and one white.